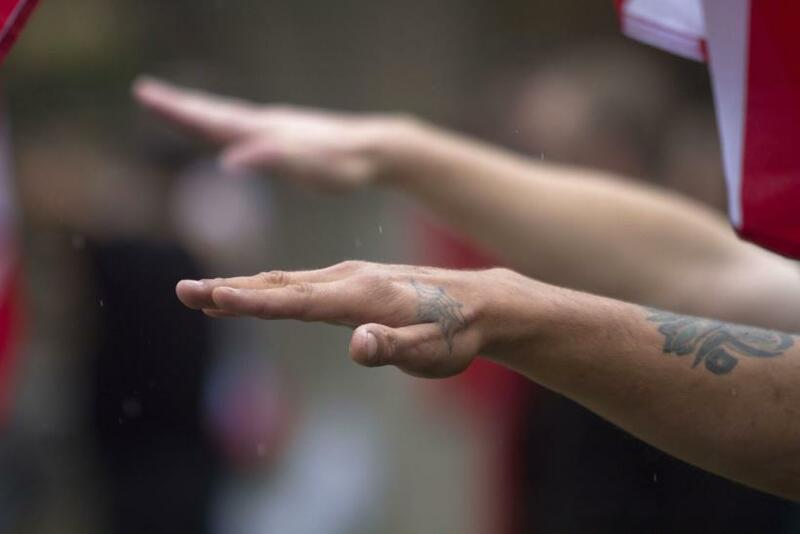 A white nationalist conference took place in Washington, D.C., over the weekend, triggering criticism and condemnation from the U.S. Holocaust Memorial Museum and an apology from the restaurant that hosted an event before the conference. The National Policy Institute (NPI) held the conference at the Ronald Reagan building in downtown D.C. on Saturday, where neo-Nazi leader Richard Spencer praised President-elect Donald Trump’s victory in the elections and made a Nazi salute. According to the Atlantic magazine, he also attacked the media, calling them “Lügenpresse” — a term used by Nazis — which means “lying press” in German. On Monday, the U.S. Holocaust Memorial Museum expressed concerns over the conference. “[Spencer] made several direct and indirect references to Jews and other minorities, often alluding to Nazism … The targeting of Jews was central to Nazi racist ideology. The Germans attempted to kill every Jewish man, woman and child they could find … The Holocaust did not begin with killing; it began with words. The Museum calls on all American citizens, our religious and civic leaders, and the leadership of all branches of the government to confront racist thinking and divisive hateful speech,” the museum said, in a statement. Also on Monday, Maggiano’s Little Italy — the restaurant that held the pre-conference event on Friday — apologized for hosting the banquet. It said it was unaware that the white nationalist group had booked the event. “[It] was a last minute booking made Friday afternoon, and the reservation was made under a different name, therefore we were not aware that NPI was dining with us or what the group represents. After the event, an attendee sent a tweet in which she made a “Sieg Heil salute” in support of Hitler and white supremacy. This expression of support of Hitler is extremely offensive to us, as our restaurant is home to Teammates and Guests of every race, religion and cultural background,” the restaurant wrote in a statement posted on Facebook. The event was also attended by former reality television star Tila Tequila, a known a sympathizer of Nazism. She posted a photo on Twitter in which she was making the Nazi salute along with two men and captioned it “Seig heil!” Tequila, 35, was born in Singapore to a Vietnamese family and grew up in Texas.